Toronto craft brewer Northern Maverick launches "Fake News Ale"
As Northern Maverick gears up for a summer launch, the Toronto craft brewer announced its first beer as part of a charitable line of beers that will be available in their Bathurst brewery/restaurant, onsite beer shop and through direct delivery in Ontario. Dubbed "Fake News Ale", the sessions-able ale was developed to offer a respite from the bleak political developments of late, an easy-drinking beer that lends itself to long discussions over world events with friends. With tongue firmly in cheek, the beer was found to pair well with small hands, striking comb overs, huge egos and all things Mexican. 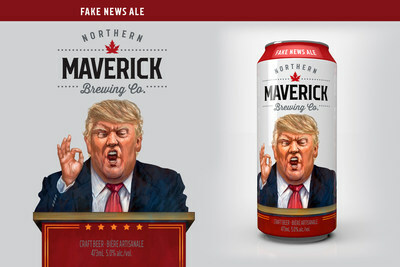 Northern Maverick stands in solidarity with its American neighbours in their time of need for beer, which is why the Canadian company is offering to donate 5 percent of every "Fake News Ale" can sold, to help reverse a questionable policy. People will be invited to nominate and vote for which cause will receive the charitable donation on their website, www.northernmaverick.ca, in the coming weeks. Clearly no American president has endorsed this beer, but the company is offering beer-lovers VIP tour tickets, launch invitations and the opportunity to be the first to get their hands on "Fake News Ale" by following Northern Maverick on social media @NorthernMaverickBrewing on Instagram and Facebook, and @NorthernMavBeer on Twitter. For more information, visit www.northernmaverick.ca. 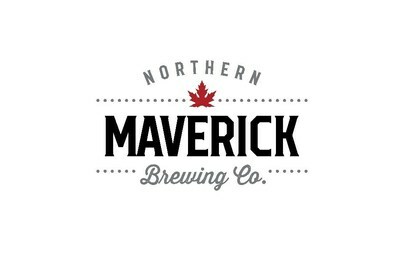 One of Toronto's newest craft breweries, Northern Maverick is set to launch summer 2017 with an 11,000 square-foot brewery/restaurant on King West (115 Bathurst Street, Toronto, ON M5V 2R1). Once complete, the facility will feature a 10—hectolitre brewhouse with eight 20-hl fermenters, a 400-seat restaurant, a bar and a retail store offering their latest brews. The restaurant will have a fiercely local menu, offering an elevated gastropub experience with an oyster bar, house-made charcuterie and curated food that pairs well with the nine beers they will have on tap. Northern Maverick will also house a beer school where they will offer the fine art of homebrewing, beer tasting courses, food pairing sessions and recipe development. Hi I really appreciate all the great content you have here. I am glad I cam across it! I always find www.nexter.org/ here for the latest information about news ! !